This pendant bead is one side laminated. Abalone shell is cut into strips and eventually laminated to make one sided bead. The other side is white shell. 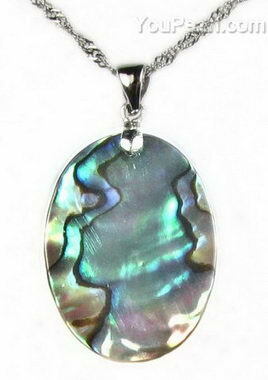 The listed price is for one abalone shell pendant.